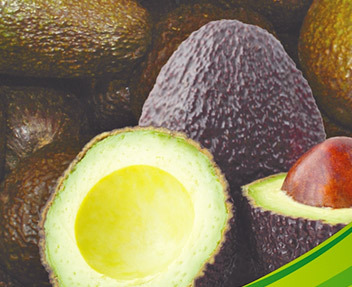 This Avocado is the most popular accounting for around 80 per cent of avocados available. Internally, the Hass has a soft and creamy texture and excellent flavour. Externally, the Hass the classic oval shape with distinctive pebbled skin. The Hass changes colour as it ripens from a green to a purple black. They are available nearly all year round and are high in healthy fats, vitamins C, E and B, potassium, and folic acid. The Hass tree grows to about 9m x 10m and is fairly cold and frost tolerant once established and will bear its delicious fruit between September and January.